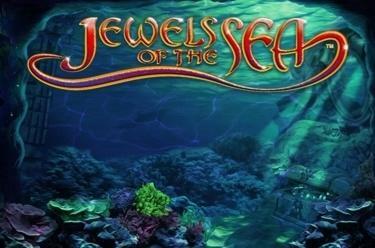 Play Jewels of the Sea™ online for free now! One or two pirate ships have been succumbed to the stormy seas, which means you're in luck because huge treasures are waiting in Davy Jones's locker to be retrieved by you! Seek the pirate treasures in Jewels of the Sea™ accompanied by enchanting mermaids and clever dolphins because they will lend you support with their knowledge of the secrets of the underwater world! 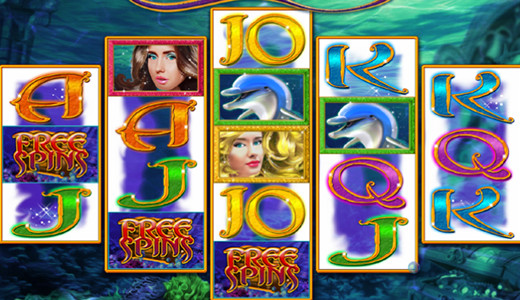 There are no default win lines in Jewels of the Sea™. As soon as you land at least 2 matching symbols starting from the left on adjoining reels a portion of the pirate loot is yours! All 720 winning patterns on the 5 reels run from left to right. The "Free Spins" symbol triggers free spins when it appears at least once on every reel in any position. The "x 2" symbol is the Wild symbol that substitutes all symbols in the game except the "Free Spins" symbol and doubles your line win. The more "x 2" symbols you land the higher the multiplier. If, for example, 2 "x 2" symbols land you receive a 4 times multiplier. The Wild symbol appears on reels 2, 3 and 4 only. The "Free Spins" symbol triggers at least 8 but no more than 96 free spins when it appears in any position on any of the 5 reels. The more "Free Spins" symbols you land, the more free spins you will get.